A comprehensive account of the history of counter bombardment, including the development of Australian techniques, equipment and procedures through the campaigns up until Vietnam. It is also the story of the brave men behind the artillery and their outstanding efforts and results across these varied campaigns. Unfortunately, due to sales rights restrictions, we cannot offer Do Unto Others for sale in your country. Since 1899, the significant role Australian gunners have played in supporting the Australian Military Forces' campaigns has been well-documented. They have gallantly and whole-heartedly supported Australian, British, New Zealand and Indian armies in both World Wars, the Korean and Borneo Confrontation Wars and most recently the Vietnam War. 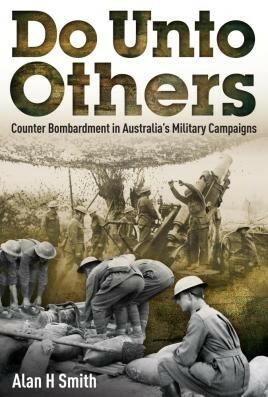 Do Unto Others is a comprehensive account of the history of counter bombardment, including the development of Australian techniques, equipment and procedures through the campaigns up until Vietnam, with references to the techniques and actions of the British and American artillery included where appropriate to place the Australian experience in perspective. It is also the story of the brave men behind the artillery and their outstanding efforts and results across these varied campaigns.